Hello again, everyone! I've received one of my grails in the mail today, so I thought I'd share! Hi Everyone! 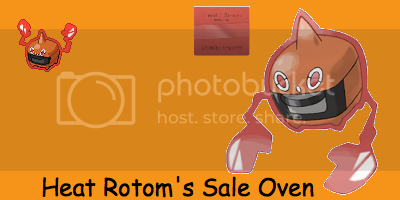 I've updated my sales post with more items such as a Generation 4 Preorder DS Holder, TCG coins, Black and White Promo Pins, and a Darkrai+Pikachu tattoo. 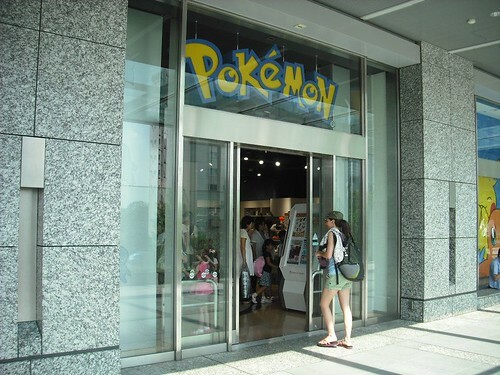 As always I am still doing Pokedoll pickups at the Nintendo World Store! found something people might like? as far as im concerned, i've never seen this for sale besides this post on ecrator. Hi fellow collectors! I'm tyrani_zard. I joined the community about mid way through 2010 but have been absent for the best part of a year as I have been working overseas, but I'm back now and hope to be around a bit more. Today I thought I would share with the community my charm collection which has grown quite large with the introduction of all the new charms. 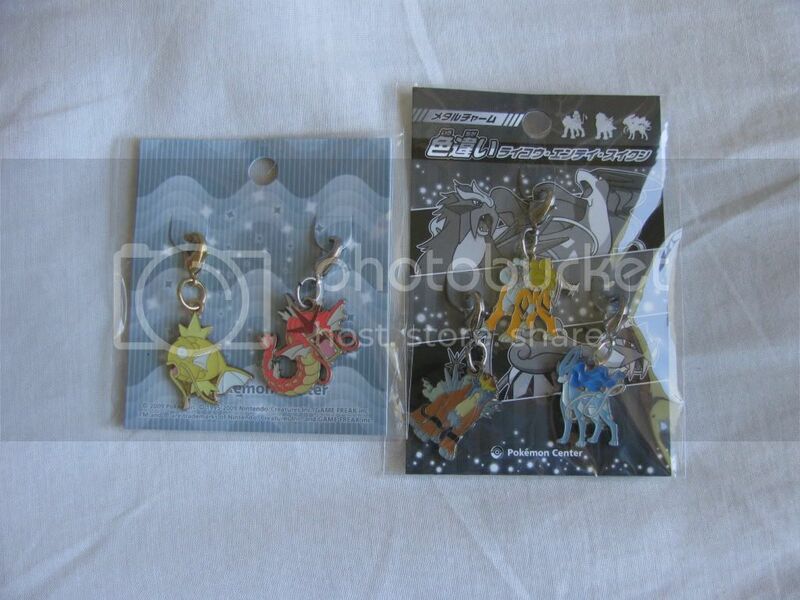 I'm a bit funny about my collections so all my charms are in their sets and in the original packaging. I hate having a charm and not the rest of the set so I do my best to avoid it. Without further ado let me show you my charms. New get and want list ! Gigigigigigitina ! I receive a Giratina UFO I won on a GA <3 He is soooooo cuuuuuute >< He is little and cute cute cute ! When I have 10 positive feeback, I hope people of Pkmn Collectors could like to trade ACEO card with me, because I want MORE GIRATINA huhu. Hi! I have loved pokemon since I was a kid.I am so glad that I have found this community,but I still have a lot to learn.Okay,so I have a lot of cards but not a lot of plush or merch.I joined this community to make friends and expand my collection!~I am mainly looking for pokedolls,especially the elusive eeveeloutions(which I have none of right now).Yeah,I wish I had more money lately.I usually pull in about thirty dollars a month around the house,sometimes more.Like I said,I have a lot of cards.The pride of my collection is a holo first edition charizard! I might sell it someday,but not anytime soon.I am not too familiar with how you pay for items here,though.Could somebody please inform me? :) PS. as of now I have 1 pokedoll with two coming in the mail from another website.Can you guess what they are?Unfortunately,I got two bootlegs for christmas. :( they are shaymin sky and umbreon.not a single official pokedoll for christmas.I hope my first post went well! and I got my charms! Actually, I got them on Thursday! Hey, I updated my shop with a bunch of stuff! 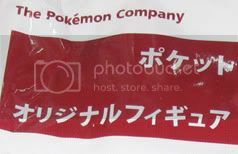 More cards, wrappers, TCG codes, figures, cut outs, and a couple Pikachu plush (one which is a mystery to me 0_o Maybe someone could help me identify it?) I also dropped some prices on some of my older items :) I also fixed up a bunch of things to make the quantities more clear, since I know that was confusing people before^^ Sorry! My lizard needs a new tank auction!! To the point of the post, my male brown basilisk, Sage has grown way faster then I expected since I feed him so well! So, that means I need to get him a new enclosure which costs money. In order to raise a little money, I decided to put some plush up for auction here to the community! I was Grandfathered in and I have been a member of this community for over 4 years now! Revamped sales + 58 KIDS LOT! I've run into some serious financial problems that require immediate attention, so, I'll be selling this lot of 58 KIDS FIGURES. I'm looking for $127 SHIPPED for the lot! Bigger picture under the cut. ANY PURCHASE OF $25 OR MORE WILL GET FREE SHIPPING! Offer is valid for a week. Click the banner to be transported. AS AN ADDED BONUS, ANYTHING BOUGHT TODAY WILL BE SHIPPED TOMORROW. INCLUDING THE KIDS LOT. Before you go "WAHHHHH??? ", I mean on one of my card collections lol. I put this up for offers once before a month or two ago but got no replies. 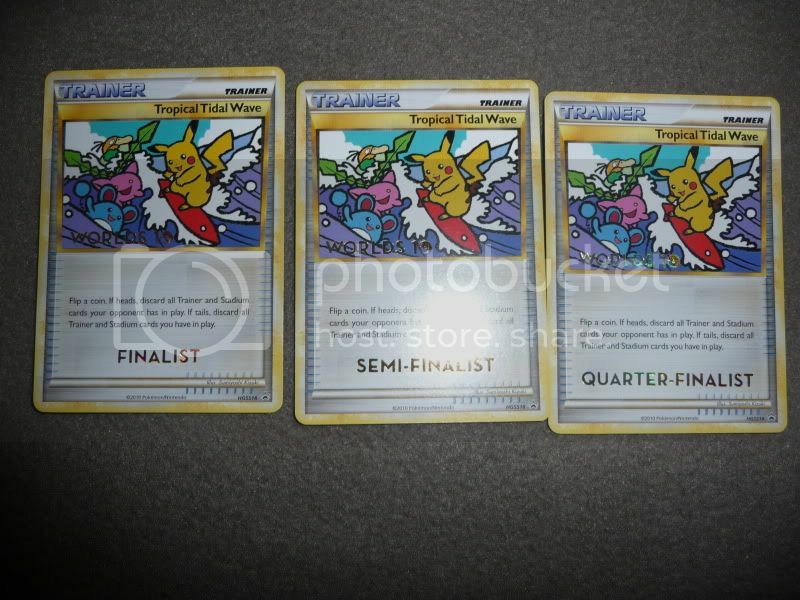 I am putting up my collection of 200 English Reverse Holo TCG Cards for offers. This will be the last English card collection I have to get rid of before I become exclusively a Japanese TCG collector. Hiya everyone! This is just about my Permanent Sales Post, which I moved and updated on my journal. It includes, Kids, Cards, and Zukan, so check it out! Also, I will be adding my Next Destinies stuff to it next week when I go to my Prerelease, and Dragon Selection cards when I get my boxes in about a week. Anyways, thanks for looking! Click anywhere on this post to go to the (image heavy) post! 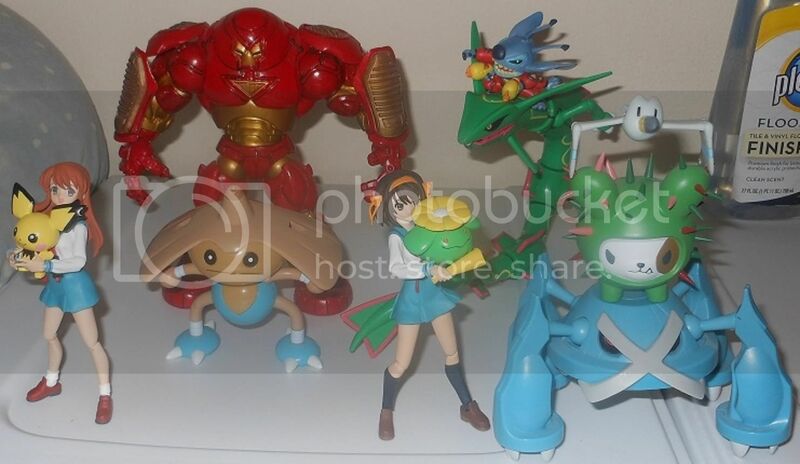 Also, does anyone have a Snivy Kid that they'd be willing to part with for under $5? I am willing to accept it MIB or not, price-permitting. 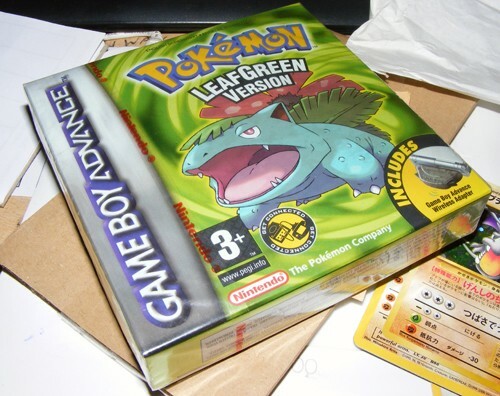 Also, I'd prefer for it to be someone who is local, or who can ship pretty fast, as I'd like to have the Snivy by February 5th...ish. XD Please let me know here if you have one you'd be willing to part with. Thanks! REMINDER: Large Sleepy Gizamimi Auction Ends Tomorrow! Good evening everyone! Just here to make a quick reminder post. Laying Pikachu was snatched up rather quickly, but Gizamimi is still up for auction. :) She's still at her starting bid! The auction ends tomorrow, the 29th, at 10 pm EST. Look at that adorably sleepy face!!! How can you resist?!?!? Click here or the pic to go to the auction post! Here's my updated and permanent sales post! Please take a look! Also my Wartortle and Charmander banks are still up for offers! It's been long time since I last posted a "complete collection" update, but now I think it's time to do it again, this time with more stuff I got from you guys yaaaayyy!!! I have now brought every toy from my old house into my new one in the event we may have to rent it out, so now the gang's all here. custom standee auction reminder, an amazing get and a touching story! Hey guys! Just a small post today! 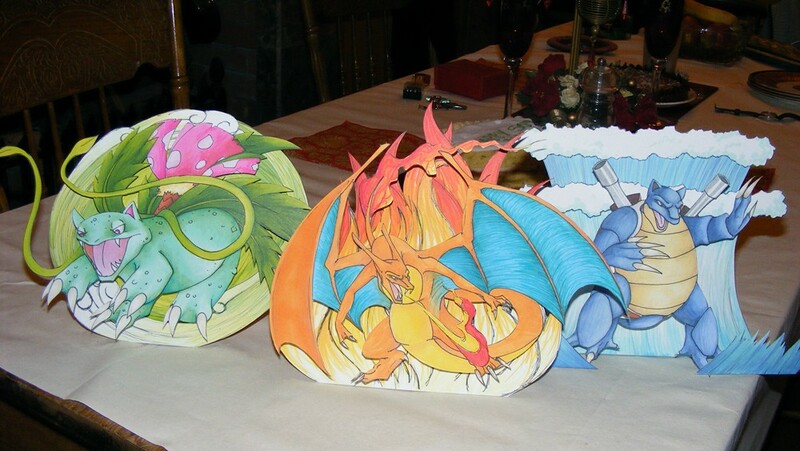 My standee auctions for charizard, venusaur and blastoise end in 2 hours! be sure to get your bids in, and don't forget about the SUPER MYSTERY STANDEE offer! I have also lowered the mini blastoise standee that's on direct sale! On another note does anyone know how to turn it off because I can't figure it out and I don't want to run the battery out. Alright guys. I need a very special plush in my life. However, I am probably the pickest plush picker outer ever! The only plush I'm not picky on are the official legendary dog plush (as some of them do look extremely goofy). I need a serious plusher with talent. If you are up for it please respond with links to examples and such, preferably human plush ;P (so no it's not going to be an actual pokemon per say). Moving on. I'm willing to give up pokemon to achieve this plush. And basically I'm willing to give up items such as Mew plushies, clear kids (such as clear eevee, clear vaporeon, clear jolteon, and clear flareon), the Reshiram and Zekrom large mall tour plush and other such pokemon goodness. Or I can just throw some money at you. I don't really know who are the more experienced plush makers around here, so even if you're up for the challenge of pleasing probably your pickest customer yet, but not open for commissions, I'm willing to wait and bid for a shining spot in line when they open up again! My final Noppin box for awhile arrived! What a glorious day in the Pokemon world! It's now "ok I got what I wanted now take the rest" time! Auctions will end on Thursday at...um...lets say 4pm central time! 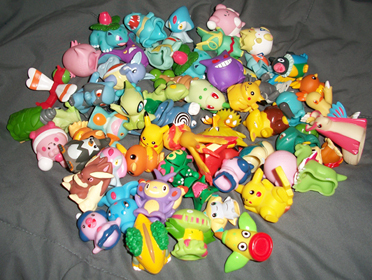 Mini tomy figures. Very rare!